It’s early Friday morning. I’m checking out my facebook and come across something about organic foods. Hmmmm . . . there’s a lot of information here. All graphically demonstrated. This is like one of those “Where’s Waldo” things. Well I don’t see Waldo, but I see a lot of somewhat disturbing data. 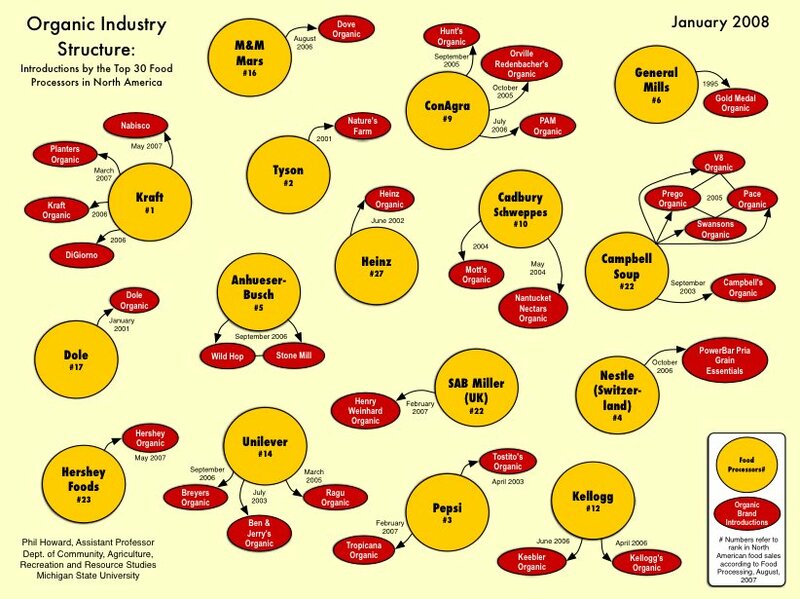 I spent some time following the arrows and learning what companies actually own some of my favorite natural food brands. 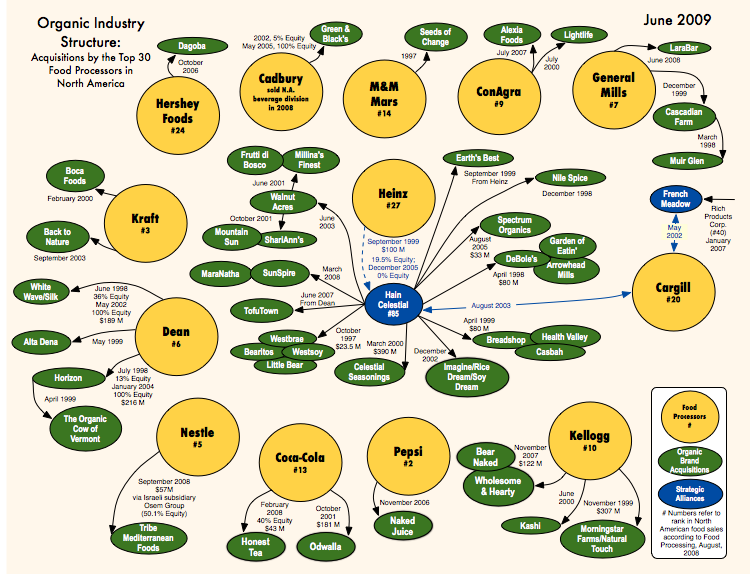 These are big organizational boards showing the layout of the natural/organic foods industry. Very interesting data and plenty of it, but it is–at least for me–unevaluated data at this point. My friend who posted these commented that it may be more and more important to grow your own food. She is probably right but I don’t think that is a total solution. 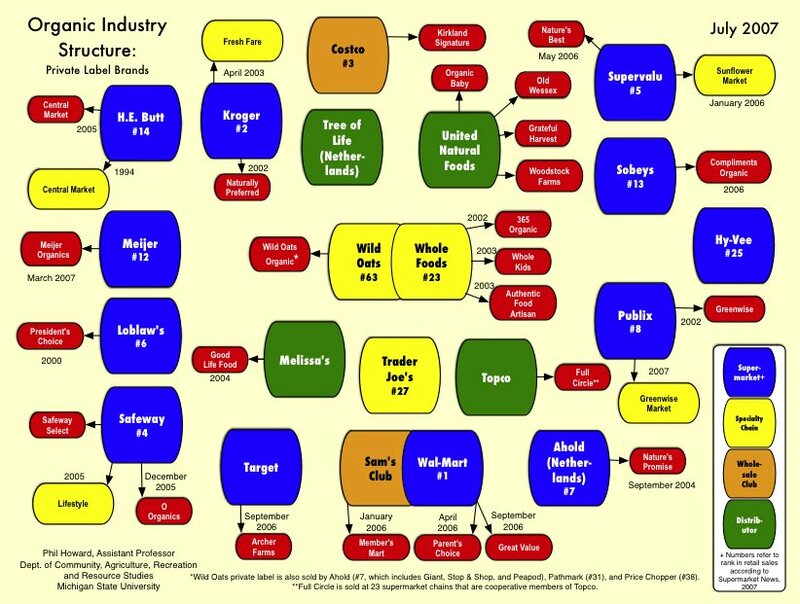 I think we have to be vigilant about label-reading and continue to refuse to purchase pretend natural food products and demand high-quality selections from our stores. 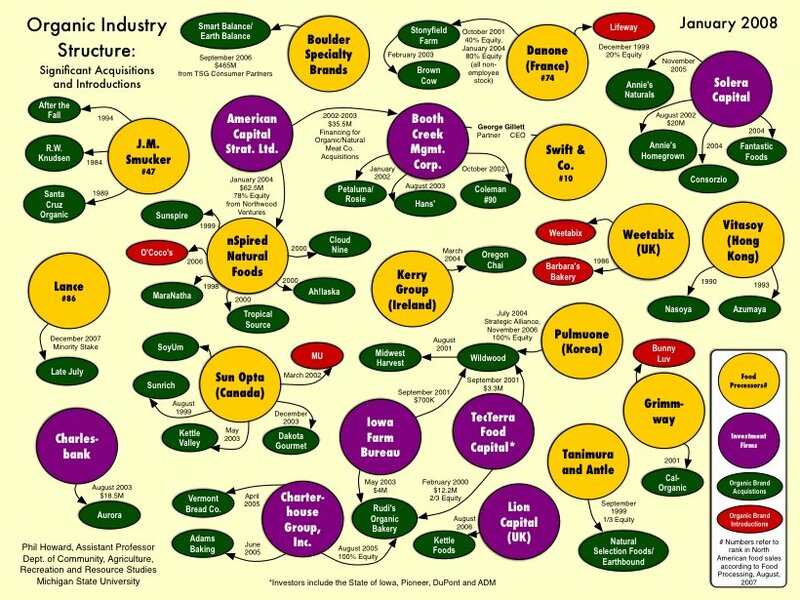 Is it important when organic food companies are bought out by huge conglomerate corporations that also manufacture the very foods we are trying to get away from? This entry was posted in Food, Food Shopping, Health and tagged Food Business, food conglomerates, Food Quality, independent food labels, Natural foods, Natural Foods Industry, Organic, organic food, Organic Food Industry by mycookinglifebypatty. Bookmark the permalink. All this bothers me, yes, but what bothers me MORE is how little oversight there is over the organic certification process. As I understand it, if a company wants to slap a USDA Organic label on veggies they’re importing from China, there’s very little oversight regarding whether the goods actually meet organic standards. I found a lot of interesting (and depressing!) info about this on the Cornucopia Institute’s website. 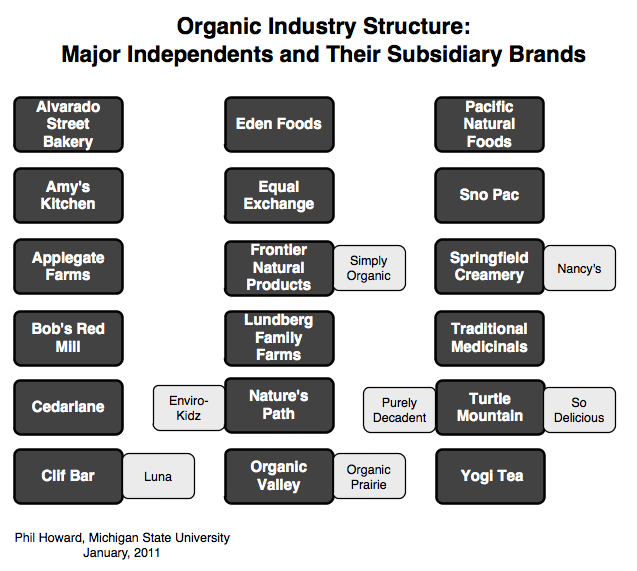 Yes, I agree with you that the Organic label is often in question. I try to buy foods grown in areas where I can be more sure of what I’m getting. That’s great that you can grow your veggies! I love gardening but don’t have any garden right now where I live. Thanks for coming by Kathy. I didn’t realize this, either, Patty. Doesn’t surprise me, though. We grow many of our vegetables, but the number of urban dwellers in the world is increasing daily. It seems like so many small independent companies struggle to survive. Wish it wasn’t so.